As our previous blog outlined, the water shortage in India has reached an unprecedented high. Simple yet effective solutions have to be implemented so that the next generations do not have to face the eventuality of a world without water. Not wasting water while brushing your teeth. Reducing the amount of water spent while having a bath. Using a bucket uses lesser water than a shower. Not leaving the tap on while cleaning vegetables. Repairing any leaking taps, tanks, pipes, etc. Deploying rain water harvesting systems in housing societies that can help optimise the rainwater. Reusing water by storing it in tanks and using it for washing cars or flushing systems. Planting more trees wherever possible. Plants act as a catalyzer in the rain cycle. Along with these measures, the implementation of smarter and better irrigation systems, including the ones that use less water will have to be employed. For example, in California, smart sprinklers are used to help the drought situation. As educated and aware citizens, we can also contribute to the cause by extending our support through a few initiatives that have pledged to help the drought-affected victims. Some of the worst hit regions are being assisted by various foundations and institutions, including governmental organisations and NGOs. While at home we can employ these measures to help, for the community at large, bigger initiatives need to take place. One of the strongest community campaigns is Jaldaan, an initiative of Tandarust Bharat, which has pledged to serve the underprivileged suffering from the lack of access to clean and pure drinking water. 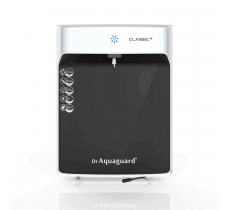 For every pledge taken under this campaign, Aquaguard contributes Rs. 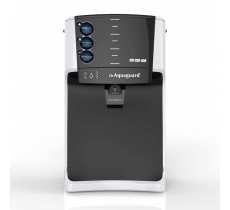 10 to set up water purification plants in the drought-affected areas. Finding potable water is a serious issue faced by many people in the country. By working together, we can help solve the crisis of water one day at a time.